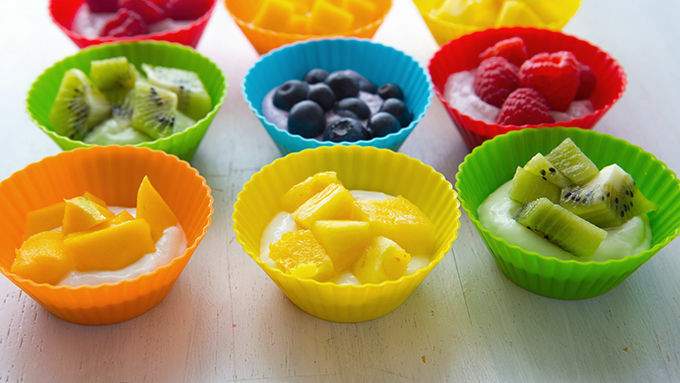 Place paper baking cup in each of 30 miniature muffin cups. 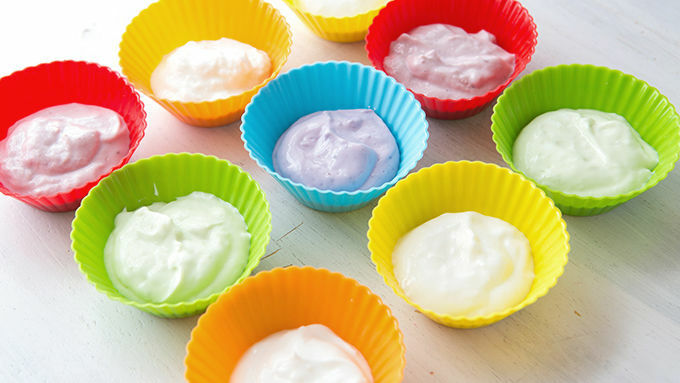 Spoon 2 tablespoons yogurt from each container into baking cups, filling 6 miniature cups from each container. 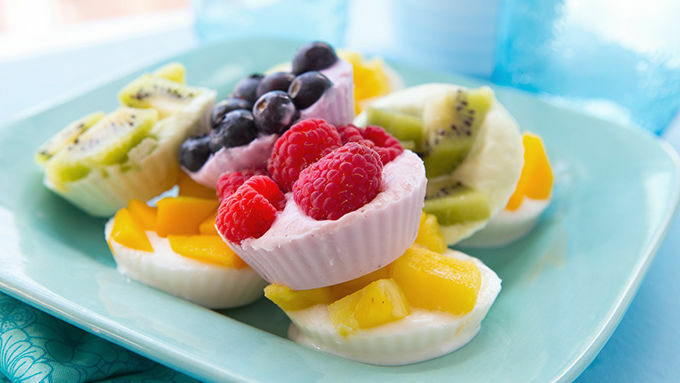 Sprinkle 1 tablespoon fresh fruit on top of each miniature cup of yogurt to match colors: raspberries on the strawberry yogurt, pineapple on the lemon burst yogurt, mango on the French vanilla yogurt, kiwifruit on the Key lime pie yogurt and blueberries on the mountain blueberry yogurt. Place muffin pan in freezer about 2 hours or until firm. Remove paper baking cups when ready to serve. Enjoy! 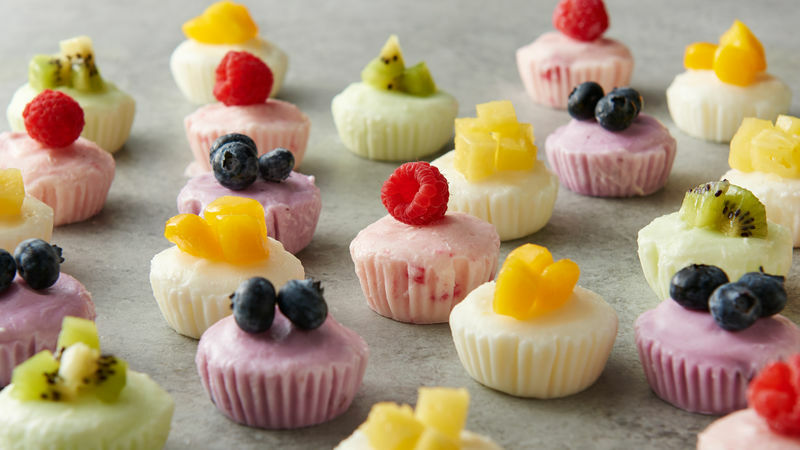 These bites are the perfect compromise for the days when you’re tempted to take a trip to your favorite fro-yo place. You can experiment with your favorite flavors and make a big batch to store in the freezer, so you always have a bite-size treat on hand when you’re craving something sweet. Just make sure to store them in an airtight container to avoid the freezer burn effect. For more frozen yogurt recipes, ice cream treats and no-bake sweets, head on over to our frozen desserts section.